China is now the world’s largest market for new cars, which means automakers are paying more attention to it than ever. 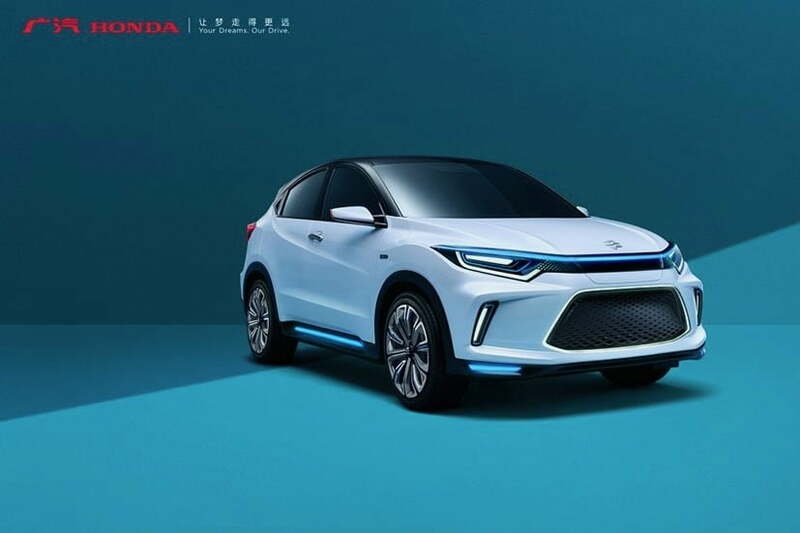 At the 2018 Beijing Auto Show, Japanese automaker Honda unveiled a concept car that previews an entire new China-specific brand called Everus that will be dedicated to electric cars and car sharing. The Honda Everus EV concept looks like an electric version of the HR-V crossover that’s already sold in the United States (and is sold in other markets as the Vezel). The front end is different, but the swooping line in the bodywork and hidden rear door handles are straight off the HR-V. Honda’s smallest utility vehicle, the HR-V is itself based on the Fit hatchback, and is pitted against tiny crossovers like the Chevrolet Trax, Ford EcoSport, and Mazda CX-3 in the U.S. In China, the HR-V-based Everus EV will be built under a joint venture between Honda and local automaker GAC. The Chinese government has traditionally required local automakers to partner with local firms to build the cars in the country, although this policy may be loosened for electric cars. GAC, incidentally, hopes to start selling cars in the U.S. in 2019. Honda did not offer any technical details on the Everus EV concept, but it did say that the electric crossover was designed with car sharing in mind. The Everus brand will offer a car-sharing service operated in conjunction with Reachstar, a car-sharing company Honda began investing in last year. The production version of the Everus EV concept will be sold only in China. The only all-electric Honda currently sold in the U.S. is the Clarity Electric, which, with an Environmental Protection Agency-rated range of just 89 miles, seems a bit behind the times when a 238-mile Chevrolet Bolt EV or (provided you’re willing to wait) 220-mile Tesla Model 3 can be had for similar money. Honda also sells plug-in hybrid and hydrogen fuel-cell versions of the Clarity in the U.S. It also has a hybrid version of the Accord, and a new Insight hybrid sedan on the way. Honda seems to be taking an “all of the above” approach to reducing emissions, and battery-electric cars are just one piece of the puzzle.